Date: May 30 2019, 2 p.m. - 7 p.m. 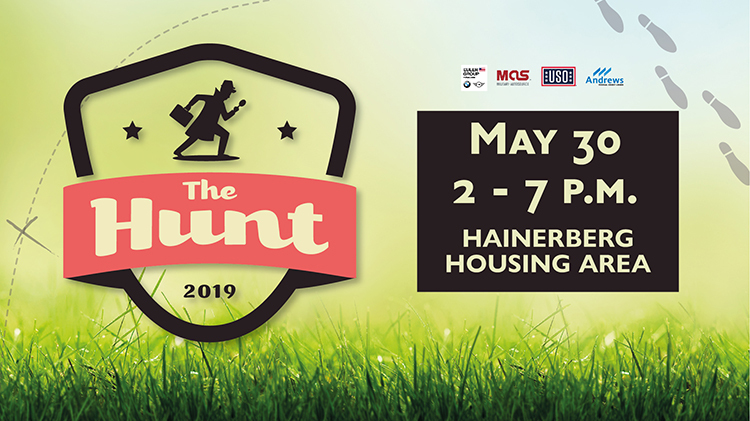 The Hunt starts at the USO Cottage in Hainerberg Housing and finishes at the Wiesbaden Entertainment Center. It is open to all U.S. ID cardholders -- Soldiers, Civilians and Family Members.